Are you currently creating your own Doll House? Do you have other projects in the interior on the go? 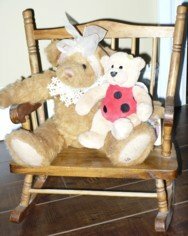 Do you have a favorite vintage doll? OR... Are you simply thrilled about your miniature hobby and collection? Tell us about your excitement. Include as much or as little comments as you like. Your entry will become a special display on this site, just for you. Spare no details. You will have plenty of room to share. Come back often too and share again. You are always welcome in this house. Contribute as often as you desire. There is no limit per person. However, No Advertisements Allowed. That said, you may include ONE URL back to your website if available. Make sure the topic is within our guidelines as well as complementary to our site and you're good to go. Also feel free to illustrate with pictures. You will be allowed up to  of a 500[h] x 400[w] pixel size each. As you enter your information we have included this symbol [?]. Clicking on it will reveal helpful suggestions for filling out the form. Your project will appear on a Web page exactly the way you enter it here. You can wrap a word in square brackets to make it appear bold. For example [my story] would show as my story on the Web page containing your project. Do you have a picture to add? Yes it can be of you! Great! Important Note: The maximum image size accepted is 500x400. You will need to resize any photo larger than 500x400 pixels using your graphics software or a Web-based resizer, such as Picnik. Share and Keep on Sharing .. This is the purpose we have chosen to incorporate this page into our site. Just so you can share your current miniature creations with us. By us, I mean, me and my readership. We all would love to see the process of your current projects as well as what you have already completed. And who your favorite dollshouse people are. As one of our Special Dollhouse Friends you may also wish to add your input to our other At-the-Doll-House.com member pages as well. Featured links to the right in the special box provided. Many projects have been started and stopped because we simply do not know which way to proceed. Especially where designing our own dollhouses are concerned. The projects you have in your mind do not need to be shelved. Construction can be done if we take simple steps to produce the learning we require. 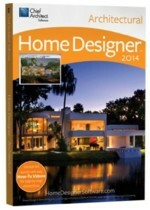 Start with a simple home designer program outlined here. This program comes with super help for both the beginner and expert. Lots of support and teaching available for you. Get started today.